A lot has been said about which countries force South African travellers to have visas to visit, and also about those which do not. So we were wondering if the penalties worked both ways, as in, if country A requires us to have a visa in order to visit, do we require citizens from country A to have a visa in order to visit us? What we found was… interesting. Many countries require South Africans visiting them to have a visa in order to enter, many of these visas cost in excess of R1000, but we don’t require them to have a visa in order to visit us. The list includes almost all of Europe, including countries like the UK, Poland, Slovakia and Hungary. The United States, with its near R2000 visa gets visa-free access to South Africa for up to 3 months (90 days) and so does Canada, Australia and Japan. This is likely down to these countries being popular targets for illegal immigration due to the fact that their standard of living is, on the whole, seen as better than that of South Africa. As a result many South Africans would, if given the chance, seek to disappear into the woodwork there – or so the theory goes. That being said, we have some rather un-reciprocal arrangements with many African countries who give us visa-free access too. Many like Ethiopia and Kenya allow us lengthy stays in their countries but have to fork out their hard earned money for permission to visit South Africa. And it doesn’t stop with African countries either, countries like Colombia and Indonesia allow us either visa-free entry or allow us to get a visa upon arrival while we force them to apply in advance to visit us. The reason for this would be pretty much the same as in the previous point, although there are likely also some other diplomatic pressures at play, especially when you consider the information in the next point. There are a few countries which play fair with us where neither of us require the other have a visa for entry. These countries include SADC examples like Madagascar, Mozambique, Tanzania and Botswana and some further afield like Brazil, Ireland, Argentina, New Zealand, Thailand and South Korea. Many of these countries rely heavily on South African tourists as well as business relationships between our two countries and so ensure ease of travel in both directions. One of the most shocking situations though exists between South Africa and Nigeria where both countries require the other to apply for a visa in advance but the costs vary greatly. South Africa charges Nigerians around R1200 for a visa where the Nigerians charge South Africans approximately R600 for the visa fee and an additional R6000 “deposit” for first time applicants. Many report that they never get this deposit back. 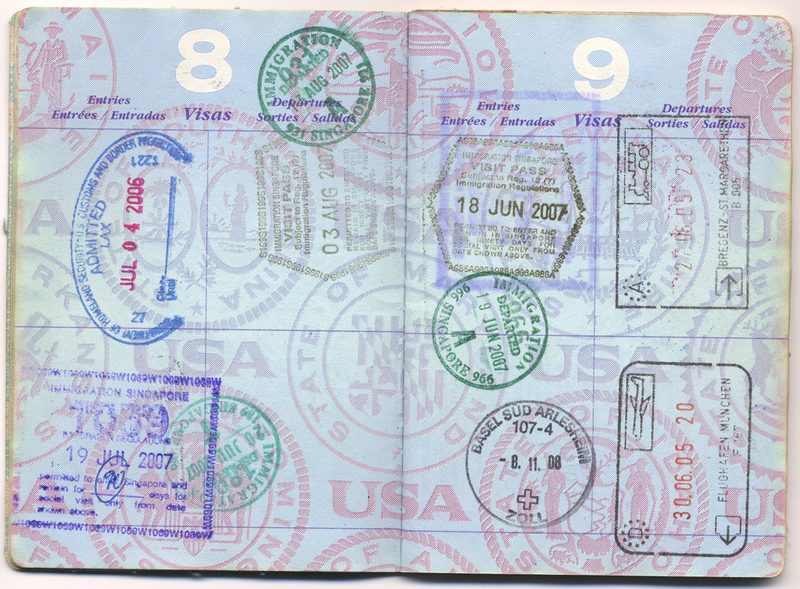 The world of visas is practically a chess game of diplomacy. The sad truth is that visa requirements are chips played by governments the world over with travellers bearing the brunt of their decisions and policies. It might not always make sense, it might not be fair, but it is what it is. Hi , I am a South African citizen traveling to France in Jan, but I first have to go to a wedding in Kinshasa DRC, Will that affect my visa application if my flights are from the DRC or must I rather come back to South Africa and fly from here. To my knowledge, if it is one trip you are doing you need to apply for both visa’s here in South Africa before departing. However please contact the embassy direct, let them know what your query is and they will be able to advise on the correct procedures to follow. The UK visa office in Sandton is about the most distressing appalling and horrible place I have ever been too. The people working there are so rude I was almost in tears by the time I left. Seriously unpleasant, from the po-faced woman at the reception who wouldn’t even look at me to the people manning the entrance to the offices. The guy processing the documents behind the counter (1 man, and about 30 people in the queue) was even more surly. Unhelpful. Obstructive. Frankly he was a downright bully, could barely bring himself to answer any questions – certainly couldn’t bring himself to talk above an irritated series of single words. Most of these were “no”. I have to go to the UK, the tickets are paid for and the accommodation is booked. But I will never ever put myself through this again. O that is terrible. I’m sorry to hear you did not have a great experience when applying for your UK Visa. I hope your trip there will be so much better. Am a minister of Religion citizen of Zimbabwe and residing in Zimbabwe Harare.I wish to attend a conference in London Cambridge for two weeks then after visit a friend in Australia on my way back home (to Zimbabwe).What kind of a Visa should i apply? Secondly do i need a transit visa since i will leave UK and Australian Visa since am going there? I’m afraid I won’t be able to advise you on the requirements for an Zimbabwean passport holder as we specialise in South African travellers. Please contact the Embassy direct or official visa handling agency. They will be able to advise on the cost, correct procedures to follow and what documentation will be required. However to my knowledge a Zimbabwean passport holder visiting the UK and Australia will need to apply for a tourist visa. Please contact both Embassies and they will be able to assist accordingly and answer any questions you might have. Visa free travel is on the cards for South Africans travelling to Schengen countries-planned date March 2017. Has there been any progress with this arrangement? For this you would need to contact the Embassy direct. They are the ones who specialise in this area as well as grant the visa’s and would be able to provide you with the most up to date information. For those of you who think it’s unfair that South African citizens have to pay for Visas to visit the U.K., but complain that U.K. citizens are issued visas free on arrival, perhaps in the interests of fairness, you should also ask why British citizens are expected to pay higher rates to visit South African attractions than South Africans are? South Africans are charged exactly the same rates as British citizens to visit tourist attractions in the U.K.
Is it perhaps because most Brits that visit South Africa are tourists, who expect to leave the country with less money than they arrived with, whereas a far higher number of South African citizens visiting the U.K. are there to do some kind of work and expect to leave with more money than they arrived with? For those South Africans that are there as tourists, they should be happy to pay a once off visa fee, as opposed to paying higher entrance fees than British people for everything they see on top of expensive accommodation and transport fees! Jayden I agree 100% with your sentiments. To add to Danny’s remark. Europe screwed the heck out of Africa and just left it. Now I must pay to go to their country, forget it. My son stay in the UK, married there also, I don’t visit him at all, he come and see us once a year. I don’t visit places where SA citizens is not welcome, needing a visa means to me you not welcome. After reading most of these posts, i can’t stop shaking my head, wanabe tourists. You go to a country bcoz you either want to go or have to go, and each country has something to offer, just have to know what you want before getting on that plane, e.g if you want to see the pyramids the answer is Egypt, can’t go to spain for pyramids. As to those who want to see their loved ones in Uk or canada, if it is expensive for you to go there visa wise, then let then come to you visa free, but the truth is you want to go there, then stop complaining and just do as asked. well said jayden, sometimes i wonder what is in those countries that is not in south africa . apart from those that has got families to visit in those countries i dont see why we should waste our money to get their visas . south africa is a very beautiful country with a lot of touriest attractions and opportunities. South african g8vernement plsys big only with the poor countries but open doors wide to rich countries.they already forgot who helped them during the times of apartheid. Same story for the Philippines as a South African I will receive a visa at port of entry valid for 21 days, free of charge. How ever for Filipino to visit South Africa total different ball game. My husband holds a British Passport and I need a visa to visit family in the UK and have to pay heavily for it but if we visit family in Italy I still require a visa but do not pay for it. Considering I have grand parents who were born and married in the UK I think this is very unfair. I have a daughter living in the UK for 14 years and is now a British citizen. My wife and I would love to visit her annually as we both are now pensioners. Since 2000 we have been visiting with no visas but lately we need to apply for a visit to visit our child who is a British citizen. Its very costly and when we were living in Evander we obtained the visas in Sandton. We have since moved the coast and live at Uvongo.We now as in the past have to do the application on line , then go to Durban for the interview, then go back to Durban to collect the passports with the visas which are valid for only six months. This now costs approximately R1500,00 per visa. add the travel to Durban on two trips at 140 km a single trip giving a total of 560 km. Add to this the cost of petrol alone . We are pensioners and receive very little in R per month. Would be grateful if one visa could be valid for at least two years or the fee could be reduced. Yet the British can come to SA without a visa. Also look at the value of the rand against the pound. Unfortunately we are the ones to suffer. Hope the UK authorities can review this visa policy. It would make life easier for us. We also have a daughter in New Zealand. We just buy our ticket and fly to Auckland. No additional costs. Visa applications and costs can be a pain, but obviously been put in place for a reason. Regarding Nigeria… (I probably have about 20 Nigerian visas to date)… A beautiful country with plenty tourist attractions. You just gotta know what you doing. Can this be true — I was asked to pay $399 for a Canadian Tourist Visa this morning? Where is the best place to apply for a Visa? Seems to me that doing it on the Net is not the cheapest and/or best way to do it??? @Julie my sentiments exactly. We also visit family in the UK. Surely with technology today our passports could be tagged and tracked and if we overstay our welcome we would have to pay at the point of departure. But as things are at the moment, I suppose the staff who issue visas have to be paid, thus the 80 Pounds which also escalates as the Rand depreciates. The UK, for one, is a country that has radically changed its visa requirements for South Africans in recent years. You can thank corrupt and incompetent officials in our Department of Home Affairs for that. To now bleat that it is “unfair” is a bit rich, to be frank. You story is a bit untrue. Slovakians need a visa to visit South Africa. I have family from Slovakia coming next month to visit and they need visas. I sometimes travel twice a year to visit my children in England and Canada. Why can’t you get a long term visa for a reasonable price. By this time they should realize I’m not staying. Every time it is the same old forms and questions. Don’t they keep records. After all we live in the age of computer records with awfull photo’s. Getting a spousal visa for the UK is really overly expensive!! Granted, the visa to USA and Canada is expensive, however it is valid for 10 years which is not too bad. 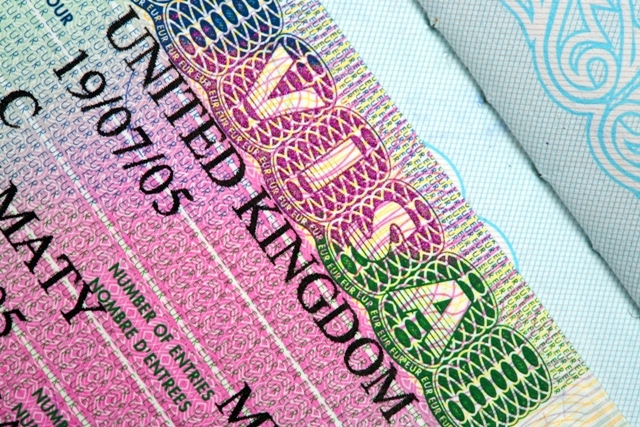 However, the UK visa is valid for 6 months and costs 80 pounds and more if you want one valid for 2, 5 or 10 years! Schengen visa is only valid for the period of your stay! R6 000 deposit? For Nigeria? Now Googling “Nigerian tourist attractions” to see if the country is worth a R6 000 visa deposit. I paid a deposit of R5,000 in 2011. One can only claim this back if you submit your claim within a year of getting the visa. I made this cut-off by a narrow margin. Jumping through a variety of hoops to get it back plus various calls to enquire when it will actually show up in my account – eventually got it after 4 weeks…less R350 for the “work” they had in keeping my money safe for me! Rip off of note – my most expensive visit to a war zone ever haha (northern Nigeria including Maiduguri) Luckily my client paid for it! !